Wilderness Louisville FOREST ADVENTURE is a free, family event at the Horine Reservation area of Jefferson Memorial Forest. 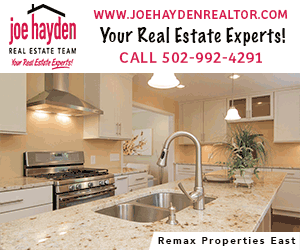 It is put on by Wilderness Louisville, Inc. and supported by local businesses. My family and I really enjoyed attending this event in October of 2016. On the morning of the event, there was a 5k Trail Run. We enjoyed watching some of the runners finish up as the other activities began. I think it would be fun to participate in the race and then spend the day enjoying the Forest Adventure activities. There were activities going on in several areas of the forest. We were given helpful map with the location of all of the activities, hiking trails and difficulty. The Nature Explore area had fun stuff for the kids to do and the Nature Explore Classroom had small animals and reptiles out to touch and learn about. Guests could climb the 52-foot Alpine Tower, go through the maze, learn archery, and fish on Mitchell Hill Lake. 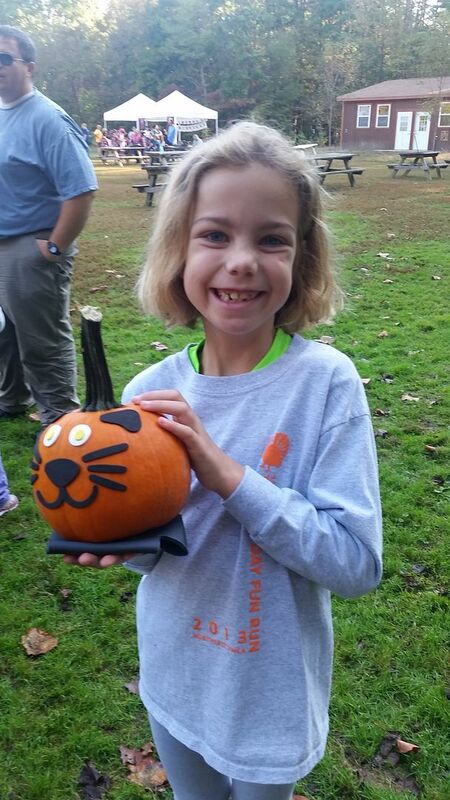 There were also free pumpkins for decorating (while supplies lasted), hay rides, live music, and guided hiking tours. We also got free t-shirts to support the event since we got there early! There were a few vendors, and food trucks with food for purchase with a portion of the food sales benefiting the Forest. We did buy a delicious lunch at the event which was a little pricey for a food truck meal. But when you consider everything you get for free, plus the portion of the food price that goes to the Forest, it wasn’t bad. You could definitely save money by bringing your own drinks and lunch (there were lots of families picnicking with food brought in), or you could choose to eat at the Dairy Queen right outside the Forest for less. 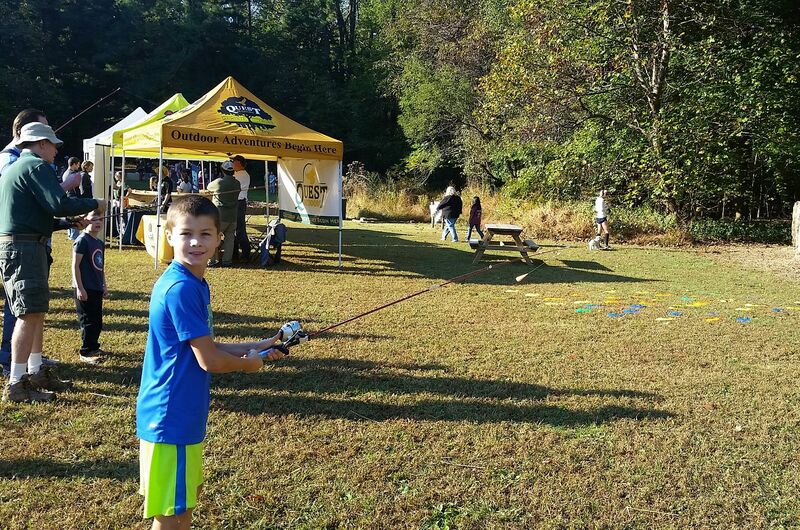 All in all, it was a terrific event, and we’re looking forward to visiting again for the 3rd annual Wilderness Louisville FOREST ADVENTURE on October 21, 2017. 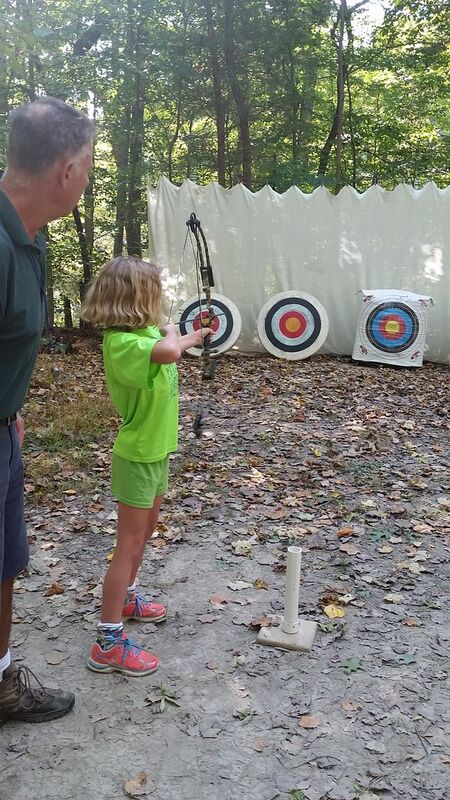 To find out more about the offerings in Jefferson Memorial Forest, check out our reviews of Go Ape Zipline and Treetop Adventures and Archery Classes.